But it isn’t technically dandruff at all! Dandruff is a medical condition. 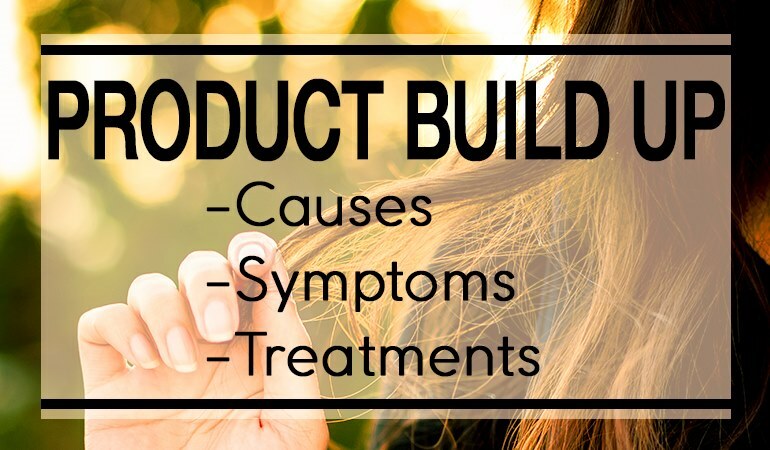 Product build up isn’t medical at all, but rather behavioral. 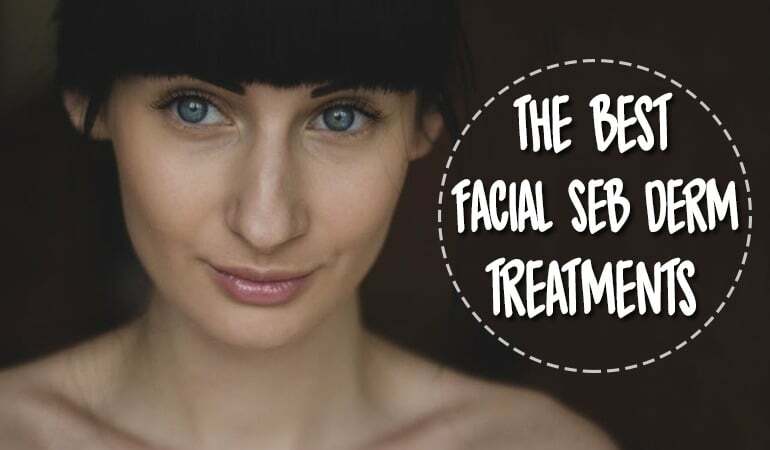 The great news is that it’s extremely straightforward to get rid of product build up using a number of simple treatments. Some of the gels, mousses, hairsprays, shampoos and conditioners contain chemicals that don’t dissolve in water. They leave tiny amounts of residue every time you use them. Over time, these residues accumulate, leaving a coating of gunk on your hair and scalp. Water can’t penetrate this build up and it’ll eventually dry your hair and scalp. Your scalp has a natural cycle of shedding skin. Skin is shed and new skin replaces it. This cycle is affected by product build up and your flakes of skin mix in with the gunk. As this skin/gunk mixture builds it will naturally start to fall from your scalp and will look like dandruff. As we mentioned before, it’s not dandruff, but it certainly looks like it. Adding products on top of products without regularly washing them will inevitably result in that familiar residue on your scalp. I did this as a teenager and have regretted every photo. Adding too many products too many products will give you waxy, greasy, flaky, lint attracting hair. Flakes from your scalps congeal with the hairspray/gel/mousse/shampoo (insert product here) causing residue and eventually dandruff. I was pretty useless at putting on the gels and waxes as a kid. I would grab a handful and not distribute the products evenly at all. The result, really bad hair and product build up. Failure to rinse out all your products out will inevitably cause product build up over time. Rinse thoroughly, and don’t use scalding water! Silicones and petroleum oils are added to shampoos to de-tangle and “moisturize” your hair and scalp. They give your hair that lovely soft sheen. The ironic thing is that they don’t moisturize at all. Don’t forget, the best moisturizer for your hair or scalp is water! Silicones/Petroleum oils make your hair feel moisturized though, and that’s why people like them. What they don’t know is that many of these products are not water soluble. Prolonged usage will coat your scalp with a layer of gunk. This can cause all sorts of trouble, not least product build up. Luckily we monitor all our shampoos for all the silicon/petroleum oils that aren’t water soluble. Co-washing is a relatively new practise of using conditioners instead of shampoos to wash your hair. The theory is that the conditioners won’t strip your hair of its natural oils. Personally, I think this is a needless exercise as there are plenty of extremely gentle shampoos out there. On the flip side, movements like this are forcing manufactures to rethink the way they formulate shampoos and conditioners. Personal opinions aside, many of the conditioners contain silicon/petroleum products. Using the wrong conditioner will cause product build up. Low porosity means your hair isn’t as porous as most i.e. your hair doesn’t absorb water as well as most people’s hair. The reason for having hair with low porosity is that the cuticle scales lie tight against the surface of your hair strand. The tightness of these scales prevents water from entering your hair. There are plenty of upsides to it; your hair will look shiny in comparison to someone with highly porous hair. However, products tend to remain on the outside of your hair. This can cause build up. Naturallycurly.com contains an excellent guide on determining how porous your hair is. Long term the solution is to identify the products that cause build up and either moderate the usage or stop using those products altogether. It’s a methodical and scientific process that will take time but reap dividends long term. If you have existing build up brushing will help clean your hair and scalp by picking up pieces of buildup, skin or dirt from the hair. There are two types of brush I’d recommend. For those with longer hair, a boar bristle brush is ideal. Remember though, if you have thick hair try to buy one with large spacings between the bristles. Those with short hair should go for a nylon ball tipped smaller plastic brush. An even better alternative is a scalp brush. As scalp brush will invigorate your scalp by removing flakes, build up and dirt. And they feel so so good! There are a whole load of purported natural treatments for clearing product build up. If you look only you’ll see a whole swathe of articles on the benefits of baking soda and apple coder vinegar. As an alternative to the more natural treatments we recommend the use of a good clarifying shampoo. Using a good clarifying shampoo occasionally will clean the oils and heavy residue that normal shampoos can’t. The shampoos are often more acidic and give a deeper clean than your regular shampoos. The downside is that clarifying shampoos tend to be harsher than regular shampoos. Regular use definitely isn’t recommended; once a month or so should do. Our current favorite shampoos all contain gentler ingredients than many clarifying shampoos but are just as effective at that deep clean. 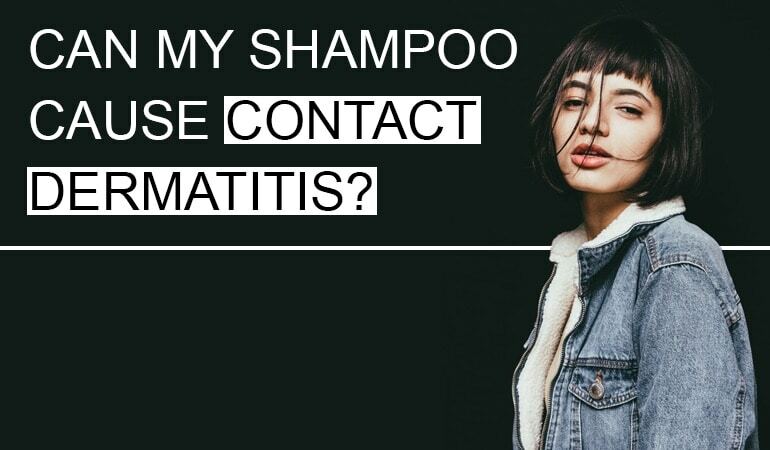 We always monitor contact allergens in the shampoos and aim to recommend the shampoos that strike a balance between performance and formulation. A gentle clarifying shampoo may sound like a contradiction in terms, but Aubrey Organics have done a fantastic job formulating a clarifying shampoo with mild ingredients. It’s possibly the gentlest clarifying shampoo we’ve reviewed yet. It smells nice, it will clarify your scalp, it will help remove dandruff caused by product build up. But this comes at a cost – it will dry your scalp if used too much. Like all clarifying shampoos – use absolutely only when needed. The self proclaimed “natural-product industry leader”, Giovanni shampoos are multiple award winning shampoos entirely manufactured in the USA. The 50:50 hydrating/clarifying shampoo has an ambitious purpose; to both moisturize and clarify. It largely achieves this, although some of you may wish to use a conditioner too. Avalon are a company who are famous for producing organic shampoos made with mild ingredients. On the bottle itself, they state they make “safe” shampoos with no “synthetic fragrances, phthalates, harsh sulfates or parabens”. This is a bit disingenuous – the fragrances may be natural, but they are as harsh as they come. The shampoo smells nice though!Despite the fragrances, this is an excellent choice. Particularly if you like lemons. Are you allergic to your shampoo? Contact dermatitis signs & symptoms. That’s definitely on the list for review!! Thank you for a great article! I read it yesterday and it was a great help to know that I certainly wasn’t alone with the problem! I was getting desperate. No matter how much I washed my hair with baby shampoo, how long I stayed under the shower rinsing it out, my hair remained lank, heavy and impossible to style. I could feel the horrid waxy deposit caused by a build-up of expensive nourishing shampoos that were simply too heavy for my baby-fine hair. The problem was compounded because I colour my hair, and have my roots maintained every four weeks (I can’t stand even a hint of visible regrowth). Hairdressers insist on using ultra-nourishing shampoo and conditioner “for colour-treated hair”. I trawled the internet last night looking for advice (which is how I stumbled across Dandruff Deconstructed. I read – on other sites – some drastic “cures” using baking soda followed by a vinegar rinse, and I was ready for even that if it would help. BUT, I have found a far better, imho, simpler and almost miraculous solution to the problem today. It is a shampoo from the Redken for Men range (so not in a very feminine bottle, but who cares?) “Go Clean Daily Care Shampoo” contains both protein and glycerine in a colourless, transparent, perfume-free formula, and promises “to protect the scalp whilst it removes build up. It sounds too good to be true, huh? I was certainly very sceptical, but guess what? It certainly worked for me!! Admittedly, I had to apply it four times, instead of the usual two, and rinse abundantly before blow-drying with a pure bristle brush and the dryer on a low heat setting, but my relief at having glossy, smooth and CLEAN hair once more is immense! Another benefit is that, unlike most clarifying shampoos which are harsh and only suitable for occasional use, this one is designed for “daily care” so I dare hope it will prevent build-up in the future. Very highly recommended!! It would be great if you had a picture of product buildup compared to other scalp conditions. I’ve always thought I had seb derm (and a dermatologist told me so years ago) but now I’m wondering if product buildup is part of the issue. I have dry frizzy hair so I need to use a thick conditioner and anti-frizz products. Do the symptoms usually affect the whole scalp fairly consistently or just in patches? I have white, thick scale caked onto my scalp above my forehead (product buildup?) but easily inflamed flaky bits on the sides and back of my head (seb derm?). I guess I should just see a dermatologist. This might sound like a cop out but its impossible to diagnose online from a description. It sounds like a bit more than product build up from your description but I would honestly see your doc/dermatologist. Get a second opinion if necessary. Its often relatively straightforward to treat from then on.